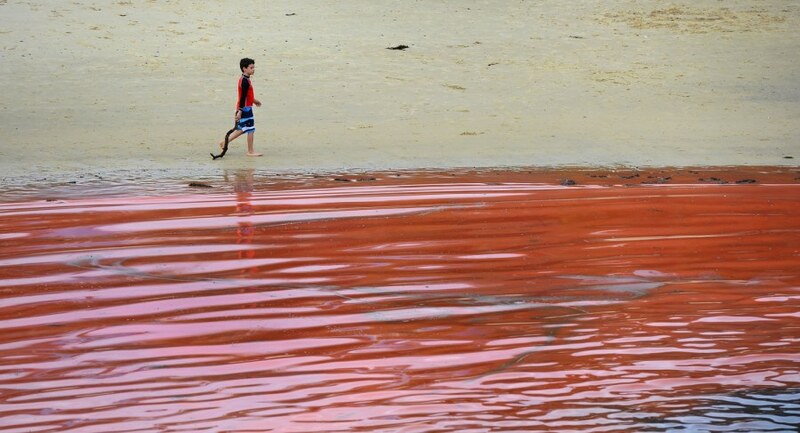 A swimmer stops short of a red algae bloom at Sydney's Clovelly Beach on Tuesday. Clovelly and Bondi beaches were closed to swimmers. Sydney's iconic Bondi Beach and Clovelly Beach were closed to swimmers on Tuesday as a red algae bloom drifted close to shore, Agence France-Presse reports. 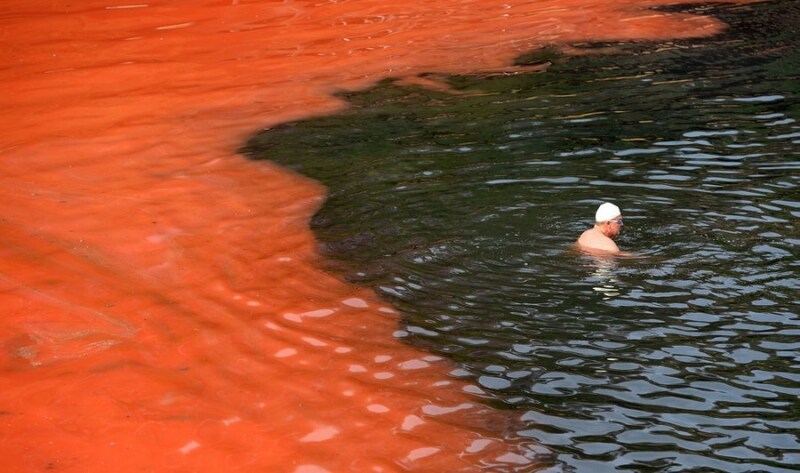 While the red algae, known as Noctiluca scintillans or sea sparkle, has no toxic effects, people are still advised to avoid swimming in areas with discolored water because the algae, which can be high in ammonia, can cause skin irritation. "It has got quite a fishy smell to it," lifeguard Bruce Hopkins told the Australian Associated Press. "It can irritate some people's skin but generally not much more than that." A boy walks along Sydney's Clovelly Beach on Tuesday. 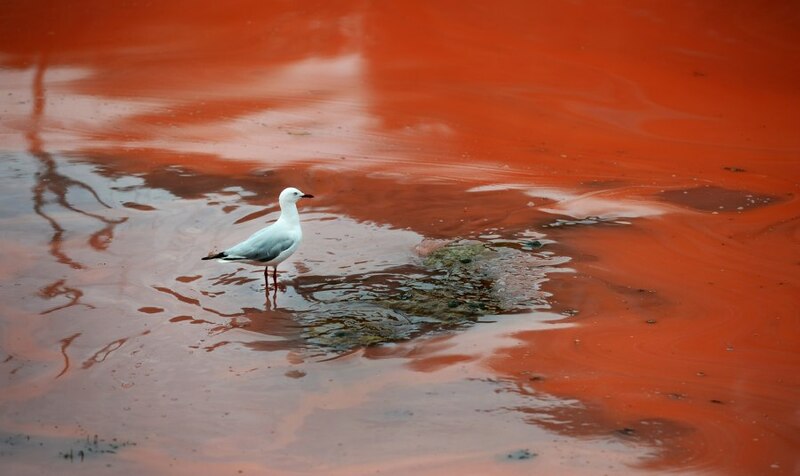 A seagull stands in a red algae bloom at Sydney's Clovelly Beach on Tuesday. Giant floating swarms of red algae have appeared in Sydney, Australia, forcing authorities to close some beaches. NBCNews.com's Dara Brown reports.